The National Directorate of Employment (NDE) has started training of 286 women and youths in cosmetology and other technical skills in Kebbi. The Kebbi State Coordinator of NDE, Alhaji Muhammad Zogirma, made this known in an interview with the News Agency of Nigeria (NAN) in Birnin Kebbi on Wednesday. Zogirma said that the female trainees which made up 70 per cent, would receive training in cosmetology. The NDE boss noted that their male counterparts, who constituted 30 per cent, would be trained in computer repairs, phone repairs, barbing and shoe making. He said that the training had been scheduled to last two weeks for cosmetology and three months for other skills. Zogirma said that the training would equip unemployed youths in the state with various skills in order to become self-reliant. “This will help to combat idleness among youths, which leads to increase in social vices. “At the end of this training, we hope to cushion the effects of poverty which the youths have suffered for sometime. “It’s no longer news that the youth are faced with unemployment and through such skill acquisition programmes, many have been given a new lease of life. 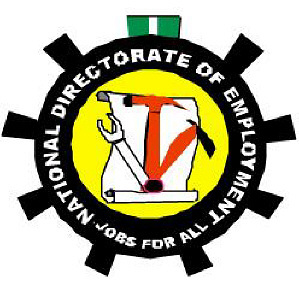 “Many have been trained and are currently self-reliant and have gone ahead to employ the services of others in their businesses,’’ the NDE boss said. He urged the women to take advantage of the scheme to excel by putting the knowledge into use, adding that cosmetics could be produced within the confines of their respective houses.